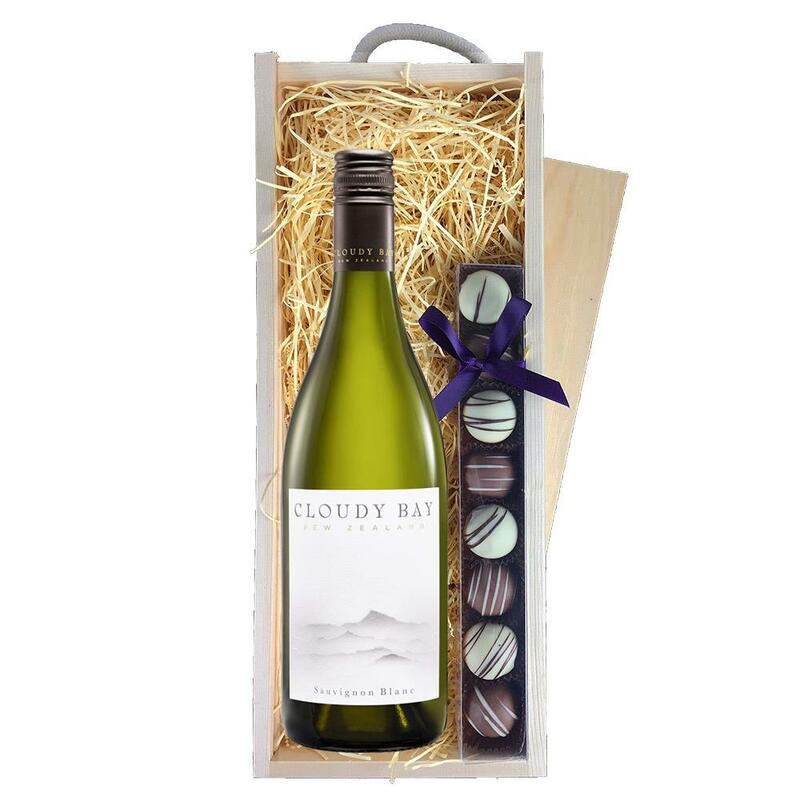 A single bottle of Cloudy Bay Sauvigion Blanc 70cl and a single strip of fine Hand Made Truffles (110g) Presented in a wooden gift box with sliding lid and lined with wood wool with a Gift Card for your personal message. Cloudy Bay Sauvigion Blanc- The Marlborough region is blessed with a unique terroir where a cool, maritime South Pacific climate produces wines of great fruit intensity. Widely regarded as the quintessential expression of the acclaimed Marlborough wine region, Cloudy Bay Sauvignon Blanc is an international benchmark wine noted for its vibrant aromatics, layers of pure fruit flavours, and fine structure. Meticulous viticulture combined with modern technology and traditional vinification methods, consistently produces a style that has become the reference for this remote southern wine region. This product is hand packed onsite by Gifts International, and is not affiliated with any other brand. Gifts International is responsible for this product combination/set.